Yep, while everybody else is on a diet, I'm just sitting here baking three-layer cakes. This is my third layer-cake of the year, and it's only been three weeks into the new year. Yerp. There's several reasons why I'm starting the year baking a crap-ton of cakes. The first is that as I was writing my 2012 lookback, I realized that a lot of my weaker photos were that of cakes. 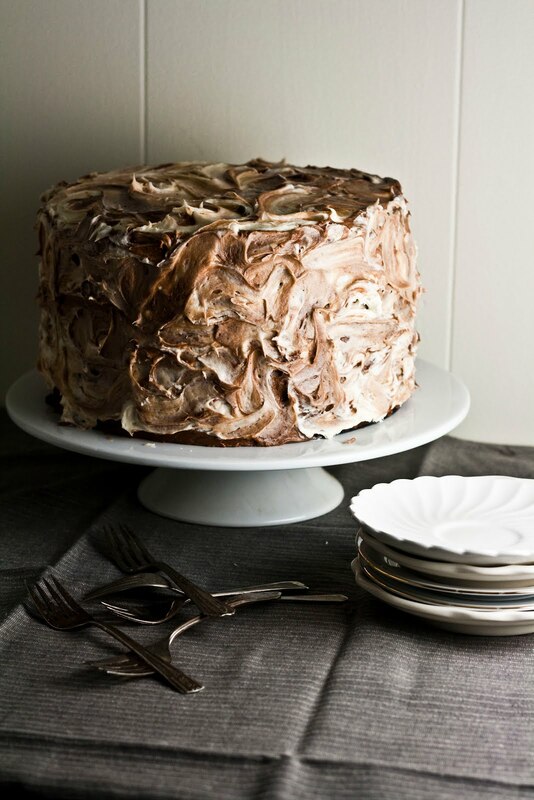 Take my post for Kentucky Bourbon Butter Cake, for instance, or my recipe for Chocolate Banana Pocky Cake. Both delicious recipes that were underserved by my mediocre photos. It's surprising that cakes, something so appealing and delicious-looking in real life translates so poorly in photos. But I struggle when I take pictures of cakes — I can never make them look as delicious or beautiful as they do in real life. Part of it is my camera. I only have a 50mm fixed lens, meaning I have to physically walk backwards and forwards if I want to zoom in or out on my object. And since most of the cakes I bake are so big (especially three-layer ones from the Brown Betty Bakery), I can't capture the whole thing on camera without walking all the way across the room. Which then affects my photo's lighting, since the light source I use for photos tends to be near the food I'm taking pictures of. But enough of this boring food photography talk. The other reason why I decided to bake a bunch of cakes is because I'm always getting requests for to bake cakes for events, and I don't really have a good cookbook or recipe stock that I can pull from. So I figured that I could start out the year and kill two birds with one stone — figure out a good book for cake recipes by baking through the first one that appealed to me the most, which was the Brown Betty Bakery Cookbook. What's marble pound cake? 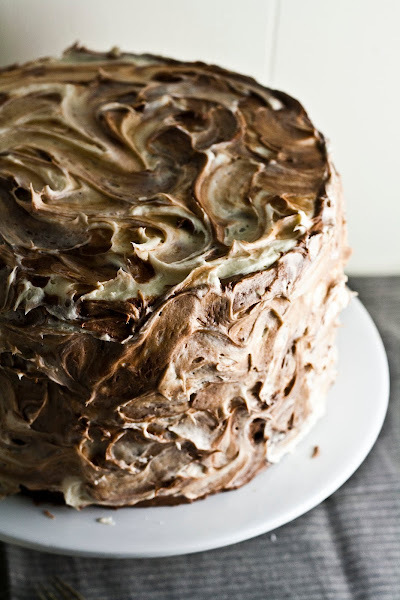 It's a yellow pound cake swirled with chocolate pound cake, topped off with vanilla and chocolate buttercream frosting. Basically ideal for those who can't decide between vanilla or chocolate, and want both. 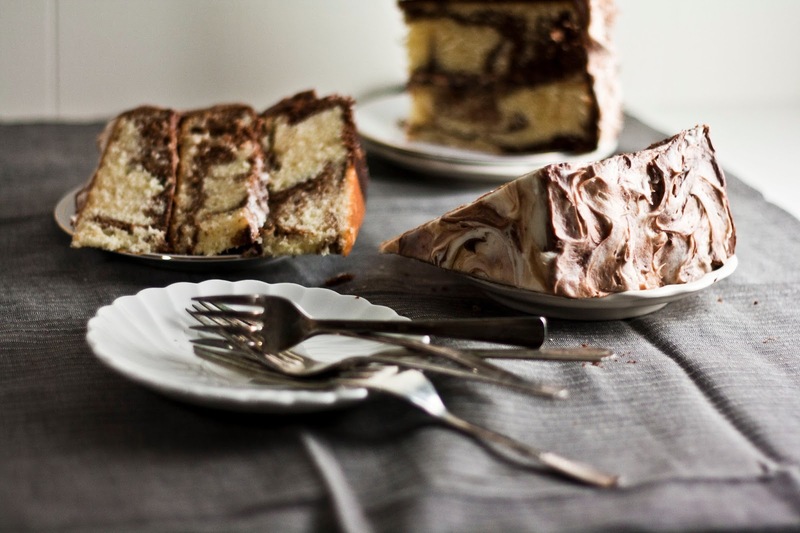 The cake is topped off by alternating swirls of vanilla and chocolate buttercream, giving the cake the marbled and textured look that you see in the picture above. Mmm. While I'm happy to declare this recipe as another winner from the Brown Betty Cookbook, so far, I have mixed feelings on the entire cookbook itself. The last three recipes on this blog — the chocolate buttercream cake, the strawberry cake, and this marble pound cake — are all from the Brown Betty Cookbook. All of them are fine, if not great. 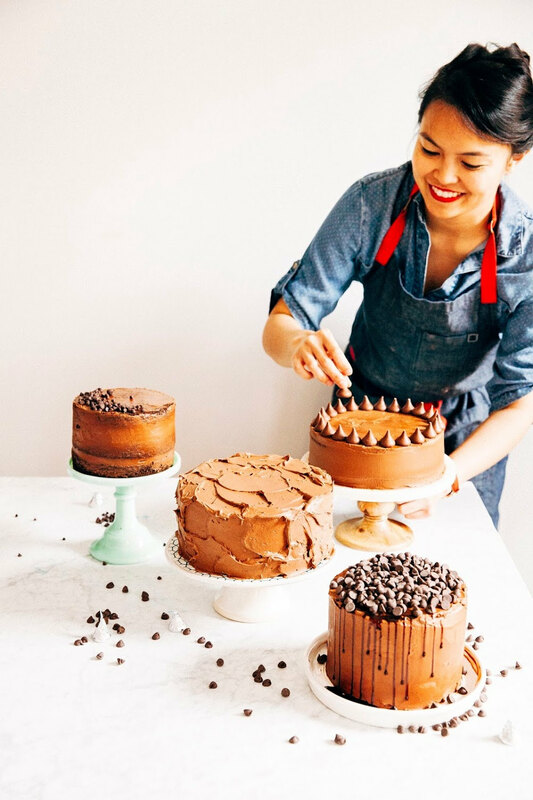 I mean, the Brown Betty Bakery has some pretty mean frosting recipes — including the best chocolate frosting recipe I've ever tasted. What I dislike about the cookbook is that each cake is such a production. Flipping through the cookbook, it seems like each recipe requires such large quantities of each ingredient: at least 8 eggs, 4 sticks of butter, and so on. This recipe alone called for 12 eggs! Eek. I also can't seem to figure out their "mother recipe"; that is, the standard formula and ingredient ratios behind their cake recipes. Why is that important? The Hummingbird Bakery Cookbook, the only other cookbook I've baked through, had recipes that were basically a variation of their vanilla or chocolate cupcake recipe. This was incredibly helpful in that it was able to teach me how I could change a recipe, and eventually come up with my own original ideas and flavor combinations. But it seems like the Brown Betty Cookbook is more variable and changes their recipes significantly each time for each cake. And while this definitely lends itself to interesting and delicious results each time, it's not exactly conducive to teaching myself how to bake and derive my own original recipes for cakes. Oh well. Not exactly a loss, but time to move on to the next cookbook on my bookshelf. Miette, perhaps? Or Bouchon Bakery? Anybody have any recommendations for me? Preheat the oven to 350 (F). Butter three 9-inch round cake pans, line the bottoms with parchment paper, and spray with nonstick cooking spray. In a medium bowl, whisk together 4 cups cake flour, 3/4 teaspoon salt, 1/2 teaspoon baking powder, and 1/4 teaspoon baking soda. In the bowl of a stand mixer fitted with a paddle attachment, beat 1 1/2 cups unsalted butter and 3 cups granulated sugar on medium speed until light and fluffy, scraping the bowl as necessary, about 3 minutes. Add 8 eggs, one at a time, beating until just combined and scraping the bowl as necessary. Add 1 1/2 teaspoons vanilla extract and 1/4 teaspoon rum extract and beat until just combined. Reduce the mixer speed to its lowest setting and alternately add the flour mixture (from the second step) and 1 cup sour cream to the batter mixture, beginning and ending with the flour mixture until just combined but smooth. Set aside and make the chocolate batter. In a large bowl, whisk together 1/2 cup plus 3 tablespoons cocoa powder, 3/4 cup sour cream, 2 large eggs, 2 large egg yolks, and 1 1/2 teaspoons vanilla until smooth. In the bowl of a stand mixer fitted with a paddle attachment, beat together 2 1/4 cups cake flour, 1 teaspoon baking powder, 1/2 teaspoon baking soda, 3/4 teaspoon regular salt, and 1 3/4 cups granulated sugar on low speed just until blended. Add 1 cup butter and half the cocoa mixture (from the first step) and beat on low speed until the dry ingredients are just moist. Increase the mixer speed to medium and beat until blended, scraping the bowl as necessary, about 1 to 2 minutes. Gradually, add the remaining cocoa mixture in 2 batches, beating 20 seconds after each addition. Add 1/2 cup boiling water and beat until smooth. Pour 2 cups of vanilla batter and 1 cup of chocolate batter into each prepared pan. Swirl together with a butter knife, but be careful not to stir the batter too much or the two will mix. Bake for 25 to 30 minutes, or until a wooden pick inserted into the center comes out clean. Let the cakes cool in the pans for 10 minutes before turning them out onto a wire rack to cool completely. In the bowl of a stand mixer fitted with a paddle attachment, beat 6 oz. cream cheese and 2 teaspoons vanilla extract together on medium speed until smooth, about 3 minutes. Add 1 cup unsalted butter and a pinch of salt and beat until well mixed, scraping the bowl as necessary. Reduce the mixer speed to low and gradually add 3 1/2 cups confectioner's sugar, beating until blended. Increase the mixer speed to high and beat until light and fluffy, about 2 minutes. Set aside until ready to use. In the bowl of a stand mixer fitted with a paddle attachment, beat 6 oz. cream cheese and 2 teaspoons vanilla extract together on medium speed until smooth, about 3 minutes. Add 1/2 cup unsalted butter and beat until well mixed, scraping the bowl as necessary. Reduce the mixer speed to low and beat in 1/2 cup cocoa powder and 2 teaspoons corn syrup. Add 3 1/2 cups confectioner's sugar and beat until blended. Add 1 to 3 tablespoons of milk, 1 tablespoon at a time, beating until the buttercream achieves a spreadable consistency.Set aside until ready to use. To assemble and frost the cakes, place 1 cake layer bottom-side up, on a cake plate. Use an offset spatula to swirl 1/2 cup vanilla buttercream and 1/2 cup chocolate buttercream frosting on top. Add the second layer, bottom-side down, and swirl 1/2 cup of each buttercream on top. Top with the third cake layer, bottom-side up. 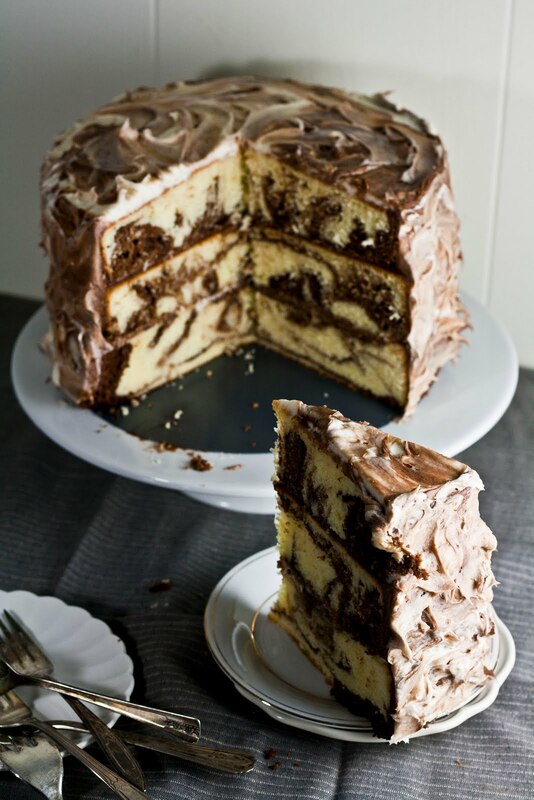 Swirl the remaining buttercream on the top and sides of the cake, alternating with vanilla and chocolate frosting to achieve a marbled effect. Wow! It looks so good! I'd say you do a wonderful job with the photography portion! This cake is so pretty! I'm terrible at cakes, so maybe I should start making a bunch to practice more. As far as books to bake from, I think Miette is just downright adorable. The only thing I've made from it is the Gingerbread cake. (which I totally fell in love with after reading your post!) 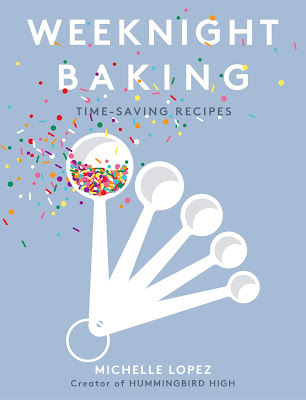 My only complaint about the book is that most of the recipes are written for 6-inch cakes. Very few use a standard size cake pan. But most are adapted from a master recipe, so it gets points for that at least. I just bought Bouchon Bakery so I haven't had a chance to bake too much from it. The one recipe I tried, the TKOs, had to be tweaked to get it to work. I'd love to see someone else bake through it as well, to see another take on the recipes. I look forward to whatever book you bake from! I have both Miette AND Bouchon Bakery! I completely agree with you, it's annoying that most of the recipes are written for 6-inch cakes, and 2 of them to boot. What am I going to do with two 6-inch cakes? I was thinking of maybe trying breads for February. Have you ever heard of the cookbook Flour Water Salt Yeast? It's by a local baker/pizza-maker in Portland, and it looks absolutely delish. Wow this looks decadent and so fun! I'd love to bake this for someone's birthday. Beautiful looking cake, I took this cookbook out from the library and agree that it's labor intensive and intimidating. Your cake though is stunning. Simpler ingredients and techniques found in Cake Ladies Celebrating A Southern Tradition by Jodi Rhoden. I wish that Brown Betty gave sort of standard directions for making the cakes in layers and in a bundt pan the way the authors do for cupcake. Happy Baking and Caking! 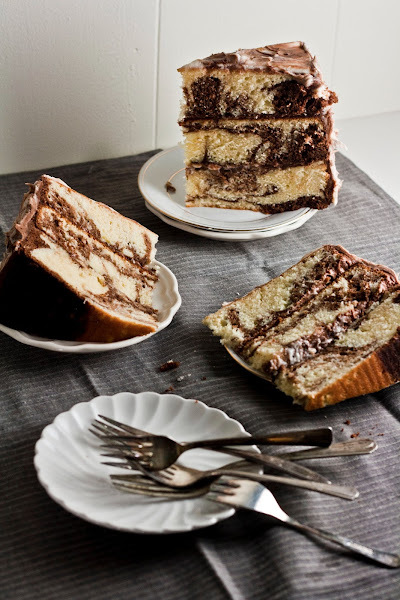 This looks fantastically delicious, but I have one question: Does each recipe– the vanilla pound cake and chocolate pound cake– need to be halved in order to make one marble cake?